This glittery Easter egg would make a beautiful addition to your spring decor! 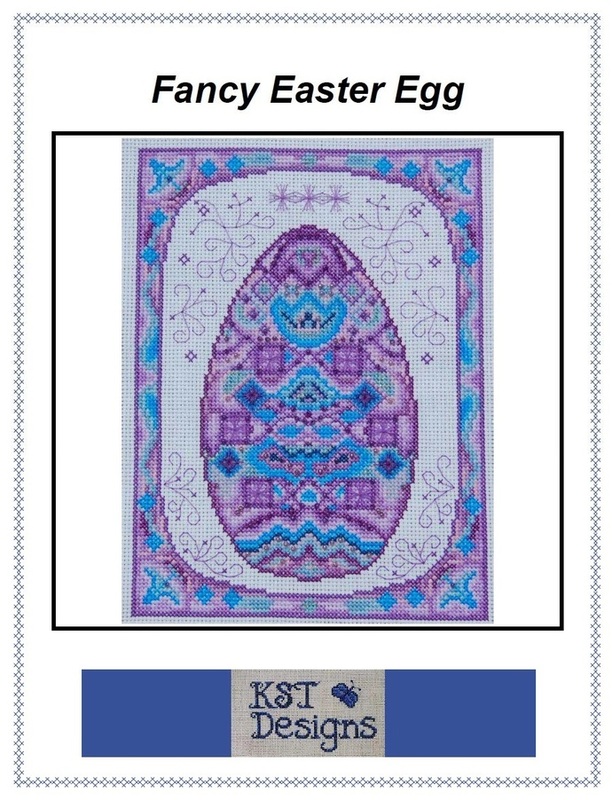 With sparkling metallic Kreinik blending filament, fresh blue and lavender threads, and three colors of Mill Hill glass and frosted beads, this egg is fun to stitch as well as impressive to display. 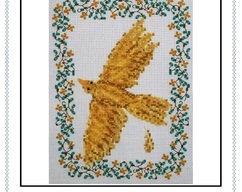 The pattern requires 13 colors of DMC floss, 1 color of Kreinik metallic blending filament, and 3 colors of Mill Hill glass beads. 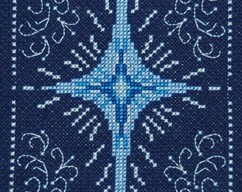 The stitch count is 90 x 120. 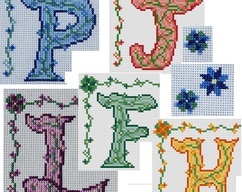 In the images shown, the pattern is stitched on 14 ct white Aida cloth.